Have a Google Music Beta account and an uninspired music collection? 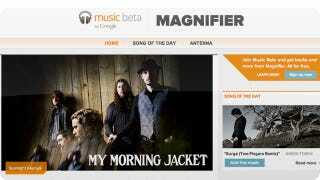 Then check out Google Magnifier, a new music discovery website. You can keep up with Kelly Hodgkins, the author of this post, on Twitter, Google + or Facebook. Is Google Going To Conquer The World With Google +?